Happy New Year and Happy Thrifting! Happy New Year! 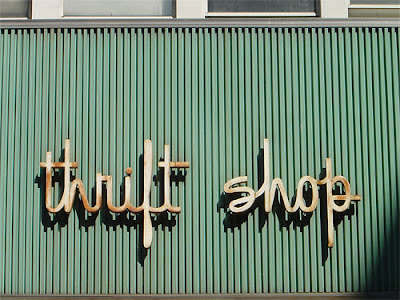 Now that we are one month into 2013, I thought I'd start a new blogging year with another passion of mine....thrifting! I have been thrifting on and off for over 30 years, uh, before it was cool to be seen in a thrift store. This started for me and my best friend in high school when money was too tight for clothing from our local mall. It was a huge secret we kept from our classmates out of fear of ridicule. Now the teens I know consider it a point of pride to show off their latest finds! 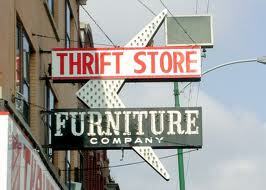 There are now blogs, websites and even songs devoted to thrifting! 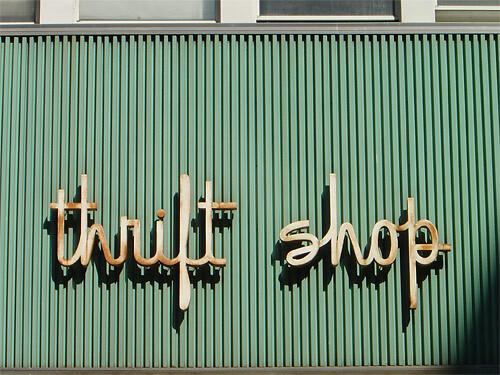 Thrifting has seen a huge uptick since the economy tanked. 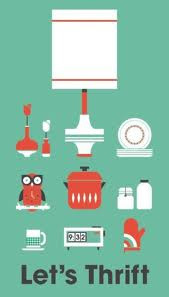 It also makes environmental sense to reuse what others cast off and keep it from landfill. Let's face it, with so many home bloated with way too much "stuff", it's no wonder most thrift stores are busting at the seams with many great ...and yes, tacky, items. So many of us have tired of getting yet more stuff from big box stores and yearn for something with a little history and quirk. 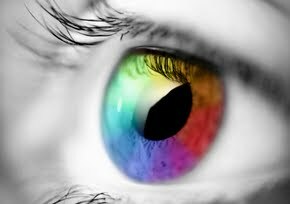 From a design and color point of view, it's a great way to add some personality and interest to your home. There is nothing more boring than a home that looks like it came straight out of one company's catalog. Anyone can do that! What I love about thrift finds is that it makes you take a harder look at the color, design of an object and incorporating it into you home more so than if you simply plucked it from a magazine where it's already featured. Any sort of mid-century glassware or bowls. If I find only a single glass, I use it at the bedside as a water glass. The fireplace mantle usually houses many of my finds. The red 1960's lamps (only one shown here) were a gift from a friend while the metal candle holder, mini globe, and chrome auto piece were thrift finds. The turquoise Philco radio was being overlooked at an estate sale in a house flooded with people! Only after I purchased it, did some people admire it as I walked out. This is one of our all time best finds and I have to give my husband full credit for this. It even came with an 8 track tape still jammed inside! Poster in background is from IKEA. I've been admiring cane-back chairs lately and found this lovely orange one on Craigslist....but I have seen a few in thrift stores. They are very popular right now so they move quick! I took some Aura paint left over from my office and got rid of it's 70's vibe. And don't even get me started on clothes! 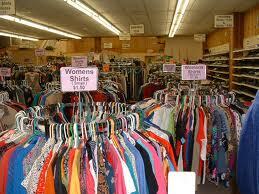 In fact, I started a little side business with some of these clothing finds, but more on that another time. Below are some of my typical finds. It's not unusual to find a Prada sweater and pair of Marc Jacobs shoes! This dresser transformation is simply amazing! 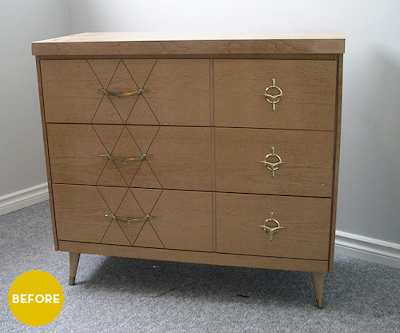 So often, there is older furniture out there with great lines. 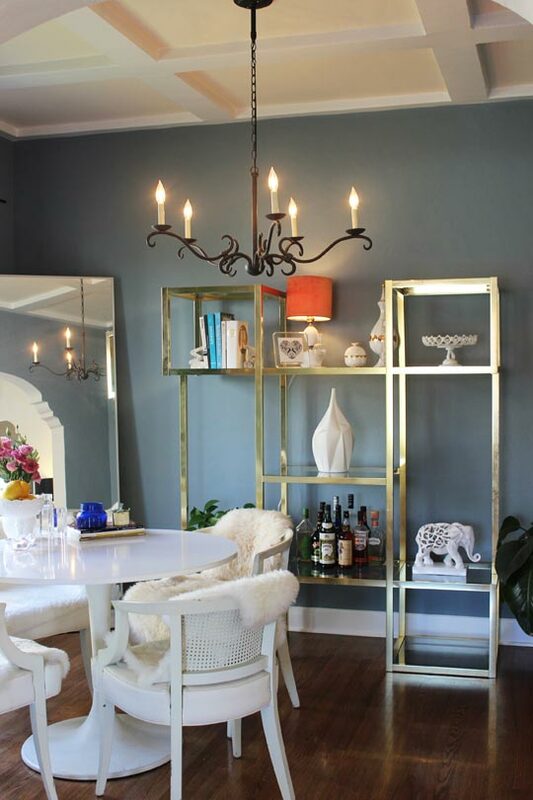 Just a little paint can make it the focal point of a room. 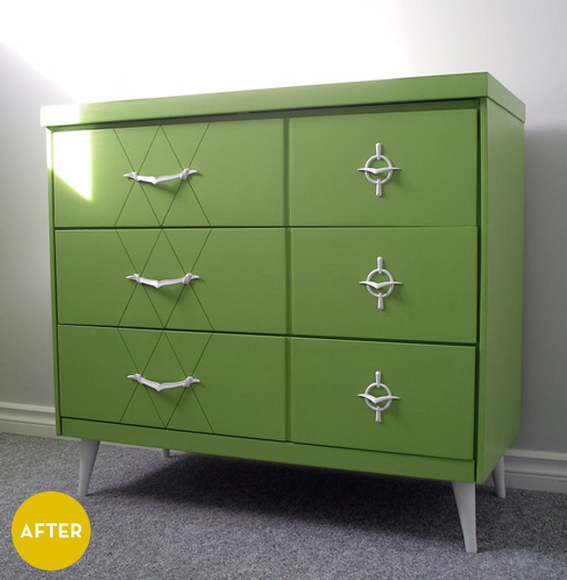 And you'd be hard-pressed to find better built furniture for three times as much at your nearest big box store! As I mentioned earlier, Craigslist is also a great resource for finding items. I can't tell you how many lovely velvet couches I've run across online! 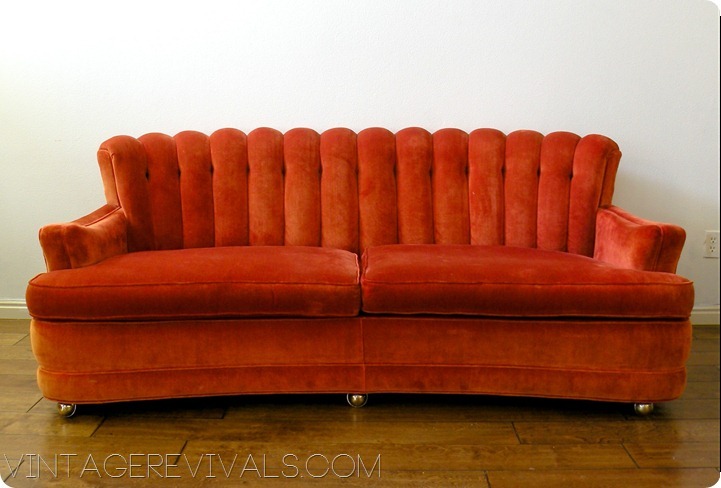 Often these 30 or 40 year old couches are in colors that have come back into vogue. 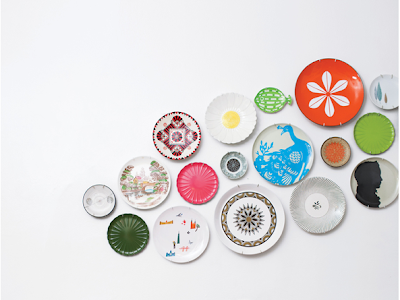 Same idea with glasses; sets of dishes that you like may be difficult to find, but combining one offs together like this is an amazing idea! While most of the art at thrift stores is pretty easy to pass on, you can sometimes find some great stuff or at least nice frames. 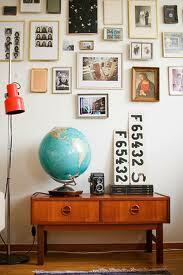 You certainly don't have to go crazy with used items. Just a couple of piece can really make an impact. Even music is reflecting the love of thrifting! Here is Macklmore and Ryan Lewis with their hilarious song Thriftstore (warning; strong language).